I’m pretty much still obsessing over the orange-guajillo chile sauce served over the dinner Carnitas plate I tasted two years ago. 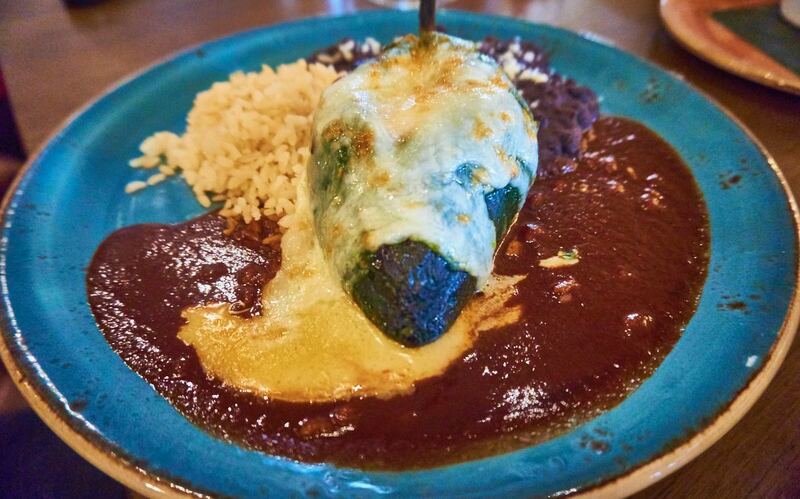 The Carnitas plate isn’t offered at lunch, but the ancho-citrus sauce on the Mariscos Chili Relleno (filled with Maine lobster and prawns) was a close second. It’s available both lunch and dinner and is a solid choice. And though my halibut was a bit drier than my preferred near-sashimi state, the adobo verde (aka “Mexican pesto”) was worth licking off the plate. 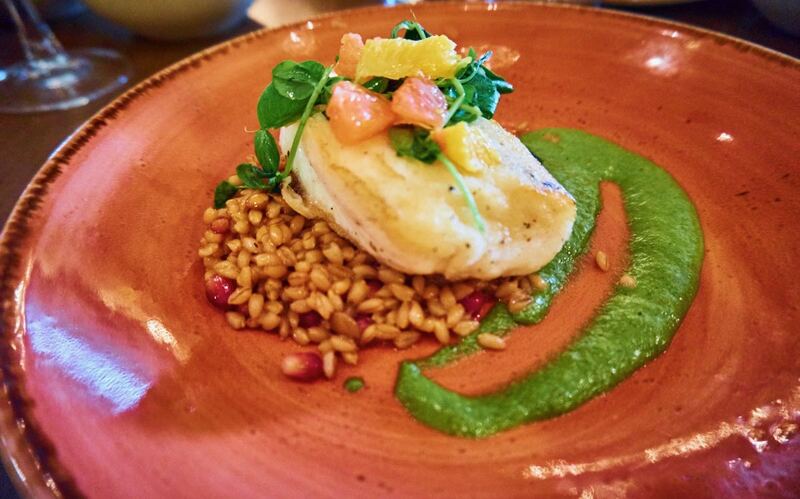 The lead chef at the San Diego location, chef Seth, shared that this particular version of halibut, served with farro and pomegranates, originated at the La Jolla location, and is now served at all the locations. With that sauce, I can see why! I know what you are thinking… if this was a table of food bloggers, they were probably attentive and on their best behavior. That’s why I watch the whole room. The restaurant has barely been open a month, but the staff seemed a well-oiled machine. Our server was excellent, and it looked like everyone else was very well cared for. One, the decor is gorgeous. 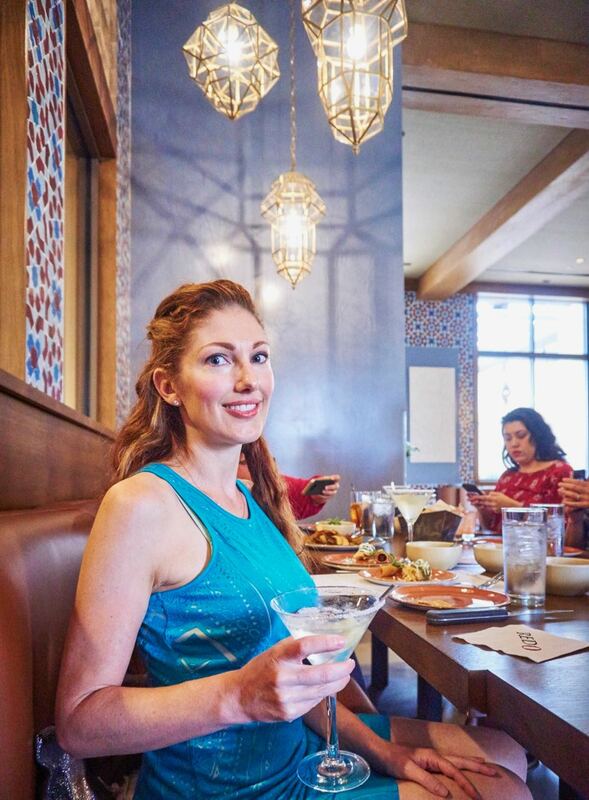 The La Jolla location continues the Moorish/Spanish vibe but with more light and air. The main room is bright, with high ceilings and beautiful touches. I think there might have been a tree in the middle of the room… I wish we had took more photos of the architecture, fire pit, lake and furnishings. Two, this place is meant for drinks and fun. 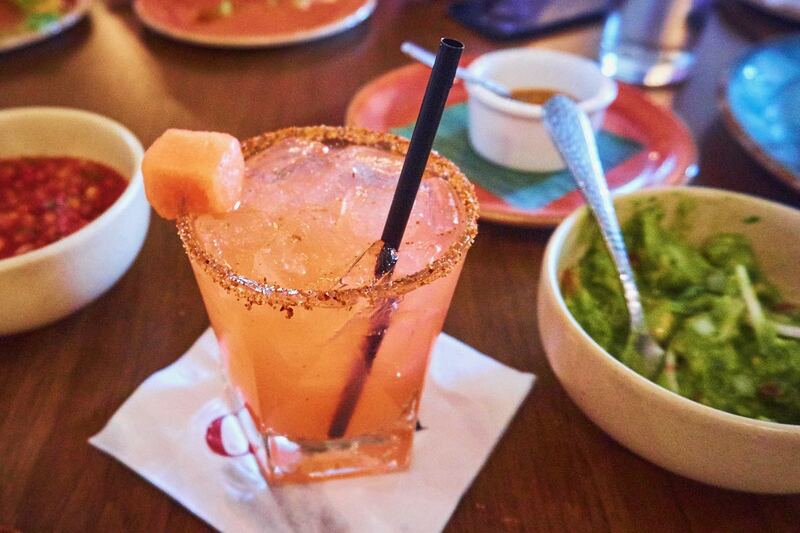 If you like adult beverages, the cocktails are delicious, the tequilas varied, and the wines hand-picked. 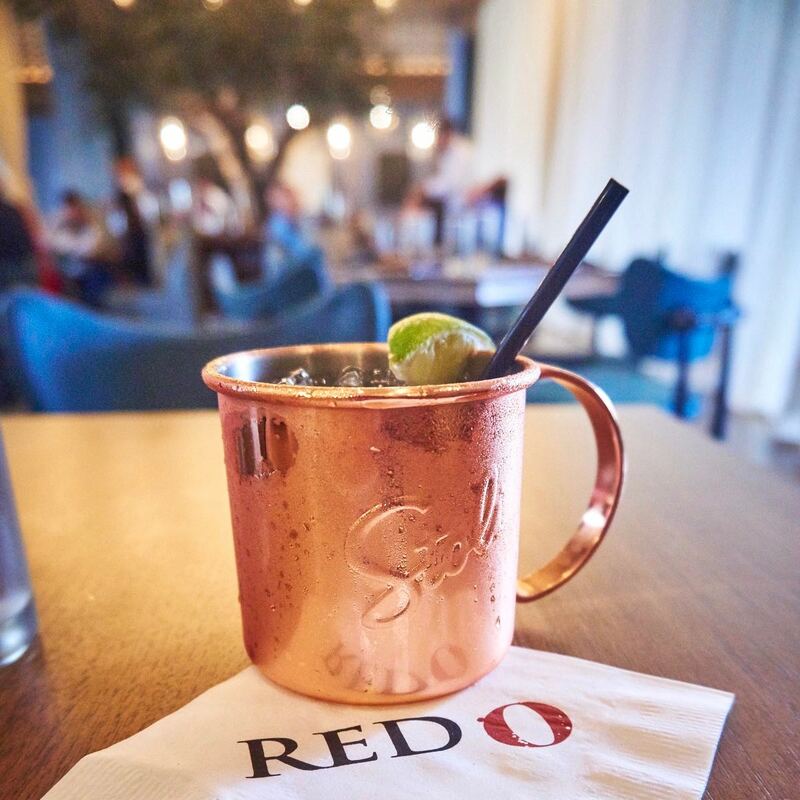 I heard Happy Hour is already packed daily. Definitely a fun spot to go with friends, celebrate or be seen. 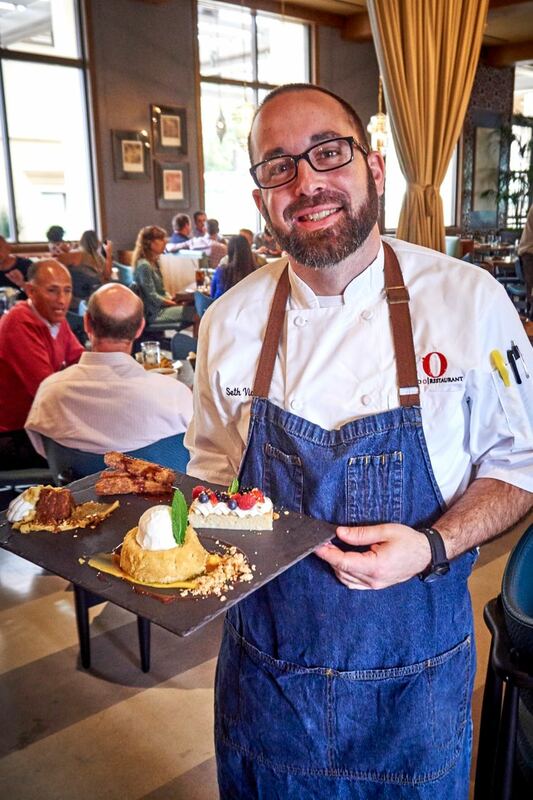 The desserts epitomize the “upscale Mexican,” accessible but interesting, tone of the menu. Chef Seth selected some of the favorites for us. 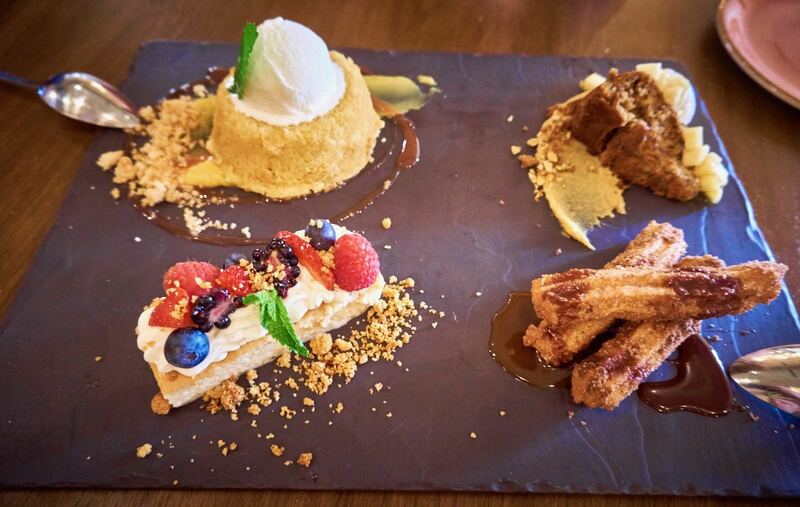 In the below photo, clockwise from the top right: Plantain Cake with cream cheese frosting, Churros with chocolate and cajeta, Tres Leches with berries, and a Passion Fruit Butter Cake with coconut ice cream. The passion fruit flavor in the cake was subtle, but my favorite taste of the platter was that smear of passion fruit curd below it…. see, I was licking the sauces off the plate again. Valet parking. $5 and worth it. Bottomless Mimosas, Marys, Sangria, and Tequila Sunrise at Brunch. I’m not much of a day time drinker, but if you plan on having two, it’s a deal. 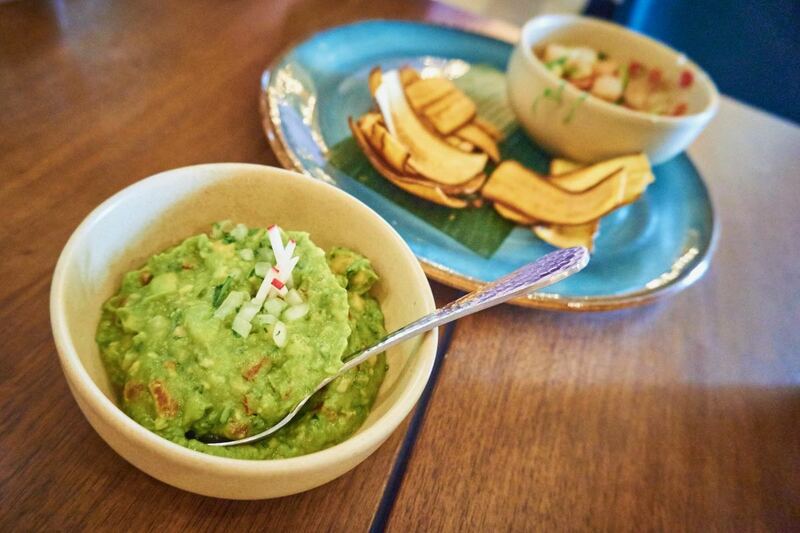 You will see Rick Bayless’ touches in the food, but probably won’t see him in person. Want my bubbling martini glass holding a delicious margarita and dry ice? Order the Casa Blanca (Casamigos Silver Tequila, clarified lime, Stirrings all natural Triple Sec. Served up 17) and be the envy of your IG feed. Navigation took us to the outside of the restaurant on La Jolla Village. Not helpful. The entrance is easier found off Genesee. 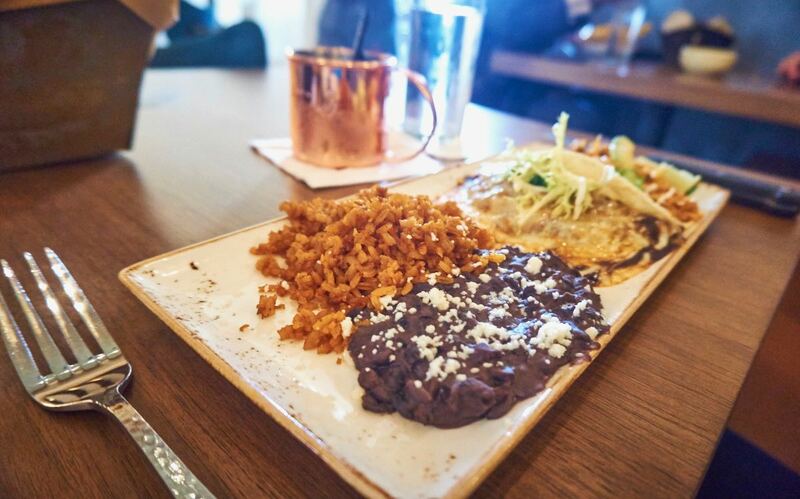 This entry was posted in Food, San Diego Restaurants and tagged authentic mexican, mexican, rick bayless, san diego restaurants. Bookmark the permalink. I’m drooling. Everything looks so yummy! Thanks Maggie! It would all be up your alley, for sure!